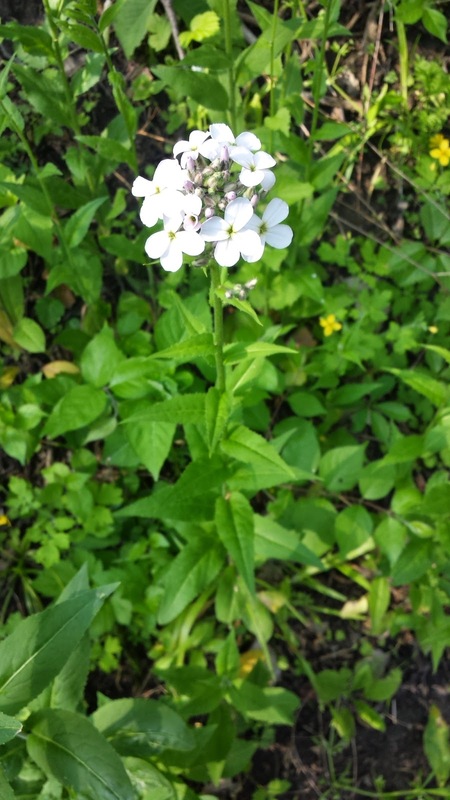 Soooo, a common sight around Ann Arbor in May, June and July is the unfortunately beautiful Purple Dame’s Rocket (Hesperis matronalis, in the Brassicaceae, Mustard, family). Hesperis matronalis originates from Eurasia, and, as is common with many aesthetically appealing plants, was brought here and cultivated in gardens. Photo taken May 20, 2014 in Cedar Bend Natural Area in Ann Arbor, Michigan. I believe I have seen the flowers of Hesperis matronalis range from white to light purple and sometime mottled white and light purple. Unfortunately, the plant is super aggressive and invasive. Hesperis matronalis lacks natural predators and diseases in North America and produces upwards of 20,000 seeds per plant. It is illegal to sell in multiple states, but despite that, it is still occasionally found in flower seed mixes. And, paradoxically, despite being a well-known invasive, googling this plant results in both invasive species fact sheets, and cultivation tips and sources to purchase websites. If you prefer to support your local ecology, you should weed this plant out of your garden and yard (presuming you are in North America). Not only does this plant have few ecological links here, but its abundance displaces native species. I have corrected at least a few people around Ann Arbor, who mistook this plant to be a native Phlox, which have a similar display of flowers. 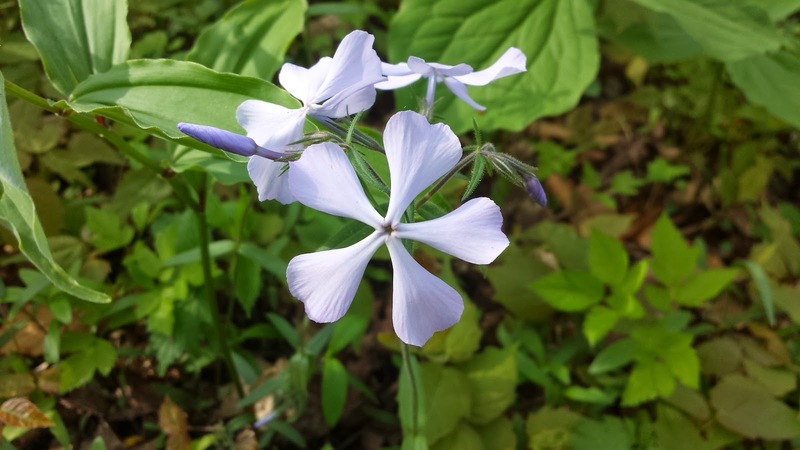 There is a simple way to correctly identify Hesperis matronalis and, well, any Phlox. Flowers of Hesperis matronalis have four petals, while Phlox’s flowers have five. Photo taken May 11, 2014 at the incredible Nan Weston Nature Preserve.